Very hot, with temperatures in the New Territories regularly up to 34 degrees Celsius throughout the first half of the month , and seemingly few birders out in the field. The first Pintail/Swinhoe's Snipe of the autumn was at Long Valley on 1st and the first Amur Paradise-flycatcher was photographed at Tai Po Kau on 7th. See http://www.hkbws.org.hk/BBS/viewthread.php?tid=26562 . A pair of Eurasian Hobbies bred and successfully raised three young at a location in the New Territories. The fledlgings were seen on the wing in early August. A party of 17 Black-winged Stilts was seen at Sam Mun Tsai near Tai Po on 11th and 13 Asian Dowitchers were counted at Mai Po on 13th. A juvenile Brown-breasted Flycatcher was photographed at Tai Po Kau on 15th. See http://www.hkbws.org.hk/BBS/redirect.php?tid=26574&goto=lastpost#lastpost . This species was unknown in Hong Kong until this century when a 1st-winter bird was seen at Tai Po Kau between 28 November 2001 and 21 January 2002. Further records involved a 1st-winter at Wun Yiu on 3 February 2003, a first-summer at Tai Po Kau on 13 April 2009, one at Fung Yuen on 13 September 2010 and one near Tai Po Kau on 2 September 2011. Since 2012, however, it has become a regular summer visitor to Tai Po Kau with successful breeding in at least 2012 and 2014. The very hot weather continued. A Grey Wagtail was seen at Lai Chi Chong on 19th. There was a flurry of records of migrants on 20th: Amur Paradise-flycatchers at Sai Kung and Pak Sha O, an Eastern Crowned Warbler at Pak Sha O, an Arctic Warbler sp. at Tai Po Kau and four Eastern Yellow Wagtails at Long Valley. Four Chinese Spot-billed Ducks were seen at Mai Po. The first Black-capped Kingfisher of the season was seen at Mai Po on 21st and a Black Bulbul was in the Lam Tsuen Valley on the same day. The 22nd proved to be the hottest day on record in Hong Kong with temperatures in the northern New Territories reaching an unprecedented 39 degrees Celsius. At Tai Po Kau there were three Amur Paradise-flycatchers, four Hainan Blue Flycatchers, a Black-winged Cuckooshrike (new early date by ten days) and a male Blue-winged Leafbird (Category III), presumably the same bird that has been seen on and off there since November 2013. Also recorded higher up in the forest reserve were an Eastern Crowned Warbler and a Brown-chested Jungle Flycatcher ( new early date by six days). The very hot weather was caused by the approach of tropical cyclone Hato. Hato hit Hong Kong on the morning of the 23rd, by which time it had intensified into a severe typhoon. The traditional spot for intrepid birders to head to during storms is Cape D’Aguilar at the southeastern tip of Hong Kong Island. On this occasion, however, the seawatching point proved disappointing, turning up only two Streaked Shearwaters and two Aleutian Terns. Bizarrely, the main movement of sea terns occurred inland in the central New Territories where one birder sat in his house in the Lam Tsuen Valley and watched a total of c.150 terns fly past in the direction of Tai Po. Most of the terns were Bridled but some Aleutian Terns were also seen, as well as a rare Sooty Tern. Twenty Aleutian Terns were also seen at Pui O on Lantau. A frigatebird sp. was videoed near Ma On Shan. On 25th Amur Paradise-flycatcher, Hainan Blue Flycatcher and Arctic Warbler were seen at Tai Po Kau. Ho Man Tin had two Amur Paradise-flycatchers, an Arctic Warbler and the first Yellow-rumped Flycatcher of the season. On the morning of the 27th severe tropical storm Pakhar passed to the south of Hong Kong bringing more heavy rain and gale-force winds to the region. Bird of the day was a juvenile Red-footed Booby (11th record) seen by Graham Talbot off Cape D’Aguilar. Other birds there included 15 Bridled Terns, two Common Terns and 75 Black-winged Stilts. Bird movement again occurred at Lam Tsuen with some birds coming down on the reclaimed grassland area at She Shan; there John Allcock and Dylan Thomas counted 65 Bridled Terns, three Common Terns, a White-winged Tern, 177 Black-winged Stilts, an Oriental Plover (new earliest date by five days), 28 Wood Sandpipers, two Long-toed Stints, a Marsh Sandpiper and 23 Eastern Yellow Wagtails. Four Bridled Terns were seen at Shek Kong and seven more were at Shek Kong catchwater. Cheung Chau had 20 Bridled Terns, five Black-naped Terns, and single Greater Crested, Common and Aleutian Terns. Arctic Warblers were seen at Chek Lap Kok and Tai Po Kau on 29th. On the same date, Shuen Wan landfill had a good count of 116 Collared Crows; three Pintail/Swinhoe’s Snipe, two Richard’s Pipits and a taivana Eastern Yellow Wagtail were also present. There was a good variety of waders at Long Valley, some of them obviously there as a result of the tropical storm two days previously. Counts included 87+ Black-winged Stilts, 33 Little Ringed Plovers, 17 Pintail/Swinhoe’s Snipe, four Long-toed Stints, four Red-necked Phalaropes, and single Marsh Sandpiper, Sharp-tailed Sandpiper and Pacific Golden Plover. Also present were at least five Eastern Yellow Wagtails of the nominate race tschutschensis and a Zitting Cisticola. 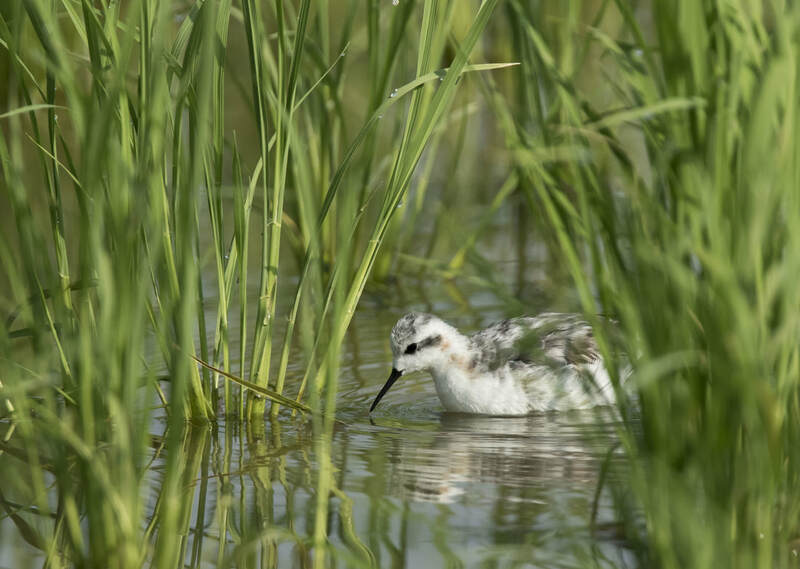 Wader numbers at Long Valley were much reduced on the 30th, although two Long-toed Stints, a Red-necked Phalarope and the Pacific Golden Plover were still present. Passerine migrants included an Oriental Reed Warbler.